CASE: A gentleman from Mississippi was traveling along a highway when another vehicle entered the intersection hitting plaintiff’s vehicle and causing fatal injuries. The Glorioso Law Firm argued that the defendant driver ran a stop sign and caused the accident. There was a witness who testified that the stop sign was knocked down by a previous storm and that plaintiff was speeding. The defendant driver argued that he stopped at the intersection and that plaintiff was speeding. 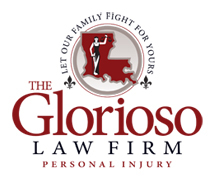 The Glorioso Law Firm filed the lawsuit against both the driver and his employer claiming that the defendant driver was in course and scope of his employment. The employer argued that the driver was off duty at the time of the accident. This case was resolved before trial for $500,000.